The tradition of the Mother Lode Round-Up continues as a tribute to the Western heritage here in the Mother Lode. Now in its 62nd year, the Mother Lode Round-Up is like a hometown reunion. “Saddle up” for a week-long experience of Cowboy and Small Town tradition that winds up with the Round-Up Parade and Rodeo on Mother’s Day weekend. The Schedule below lists all the happenings. 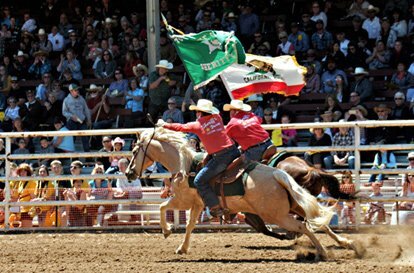 Thanks to you, our fans, the merchants, our sponsors, members of the Posse, their wives, and our other supporters, this Great Mother Lode tradition continues. Posse Grounds on Rawhide Rd. Welcome to the Mother Lode Round-Up!